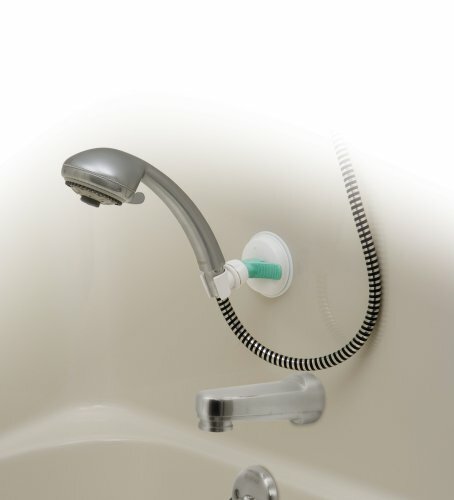 Mommy's helper portable shower head grip allows user to place shower head at any height desired. It has a flip-up easy release tab for easy installation and removal. The suction cup design is easy to attach, remove or relocate.